I promised you FREE books, and this is your chance to WIN them. Actual books that you can hold in your hands. Not one or even two. But EIGHT books, each signed by its author. Do you like these genres? If you said “yes” to even one, check out the Rafflecopter giveaway at the bottom of this post. Go ahead and click on the author names. Check out their Facebook pages and see what other sorts of deals and offers they have going on with this giveaway. Follow them if they write books you’d like to read. The winner will be contacted via the email address provided on the Rafflecopter entry form (so please make sure the one you provide is current and correct). If you’d like to hear like giveaways like this BEFORE the general public, click here and get Hero Delivery. Joining gets you a FREE story! No one wants to read a long, wordy interview. Especially not from FIVE different wordsmith-type individuals. So, today, I’m asking all the authors of the newest fantasy anthology from Roane only ONE question. No, that wasn’t the one question. But so you know, they all shouted YES! It was really harmonic too. So, authors, you’ve written stories with elemental magic of some sort. Which element are you? Why? What will you do with your elemental power? I think I would want to be Air. Being able to manipulate mass with blasts. Water, Earth, and Fire can all be somewhat controlled by Air. Now we know Terri is all about CONTROL. A perfect character trait for a fiction writer. Another air aficionado. At least Kelly is wise enough to limit her elemental magic to the pages of the stories she writes. And who knew she was such a prankster? Oh such a complicated question! I like something about each one of them but if I have to pick one I would say water. If I had the elemental power to control and manipulate water I would want to use it to go down to the depths of the ocean that we cannot reach and see what it’s like down there for myself. What an adventure that would be! The ocean floor is such an unknown and it’s on our own planet! Oh my. Claire is much braver than I am. The thought of all that water pressing down, suffocating me. *shivers* But authors have to be brave, so I applaud Claire’s adventurous spirit. I think I am a water element, personally, even though my story revolves around fire. I am addicted to all things ocean, and being a Virgo (the water bearer), I think it is just “who I am”. What would I do with my elemental power? Bring the ocean to me, of course. ? Now Rebecca has the right idea. I’m a little bit of an ocean lover, too, as long as I’m on the beach. Um … is sarcasm an element, because I’ve honing my skill with that one since I was a teenager. All right, I admit, it’s not. It should be, but it’s not. I’m kind of liking carbon, but if you put too much of it into the air, you get 90°F in January and beach front in Tennessee. Fine, fine, I’ll stop making jokes. Medieval elements. I think my Talent would be to manipulate light. Making an area anywhere form pitch black to blindingly bright. Hey, that’s a pretty damned good idea. That might appear somewhere in a follow-up story to Forging Mettle. I call dibs. Sarcasm is in fact an element. Wielded with skill by the bravest writers everywhere (consider Mark Twain). And there you have it. Two air benders, a pair of water wielders and the man who would be a light bringer. If you want to learn more about these authors, they’re also doing an interview over at Liz’s Reading Life. Of course, the best way to know an author is to read their stories. So, support an author today. Pick up your copy of BRAVING THE ELEMENTS. Last of all, enter for a chance to win a $50 Amazon gift card. Dependable Cadence Wills yearns for excitement. The owner of a yarn business, she is pulled in every direction by her demanding family. Haunting dulcimer notes draw her to a practice for the musical festival, and she spies an intriguing stranger. Musician Rafe Frasco is a rover, bouncing from one competition to the next. Interest ignites at his first glance at the woman who is enthralled by his music. He is drawn to Cadence whose heart seems big enough to encompass everyone within her reach. A fantastic opportunity for Rafe presents Cadence with a major problem—is she strong enough to negotiate the business deal that will take him away…maybe forever? Unmarried and approaching thirty in a small town branded her as ready and willing to meet every unattached man who set foot inside the city limits. A sigh escaped. Like last week when Espe called Trent Sullivan over to their table at El Tres Amigos and then suddenly remembered an important errand, leaving them together. What Espe hadn’t known was Cadence and Trent already had been set up on blind dates—twice—by other well-meaning friends. Nothing had clicked on those occasions either. Cadence craved someone with a mysterious past like in her beloved romantic suspense novels. A dark, shadowy figure who knew how to excite a woman with a molten look or a lingering touch. A man who fought to hide his pain and almost succeeded. Not someone like Trent—a guy whose high-school accomplishments she could probably recite. Sweet plaintive notes of a stringed instrument floated on the breeze. Cadence stopped, straining to recognize the tune. A person didn’t grow up surrounded by folk music without knowing just about every ballad that could be plucked. But this one eluded her. The twanging strings cried with a soulful sadness that grabbed her by the throat. Her thoughts were washed in loneliness, and she turned toward the sound, past the Heritage Herb Garden. A part of Cadence that couldn’t resist helping others had to see who was expressing such need. She lifted the hem of her long skirt and hurried toward the haunting sound, as if the notes pulled her feet along the path. The compulsion to know who played added speed to her steps. Abreast of the groundhog pottery kiln, she slowed and peered toward the outdoor stage. On the platform, several musicians were gathered—some unpacking instruments, others adjusting microphones. Off to one side, a dark-haired man sat in a straight-backed chair, one foot braced on a scratched case. He leaned forward and strummed a dulcimer, the light wood instrument cradled on denim-covered thighs. Cadence stood a dozen feet away and studied the talented player. His too-long hair was tied back, his shoulders were broad inside his western-cut shirt, and his legs were long and lean. Scuffed boots, faded jeans and a worn Harley-Davidson tee-shirt composed his attire. Definitely more attractive than her own outfit. Even from this distance, she spotted a posture that meant the man had an attitude…or was mysterious. A thrill ran over her skin. Who was this guy? He’d definitely swagger when he walked. Yummy. At the thought, she stepped closer, wanting nothing between her and the performance. Long fingers picked the strings in a heated crescendo—note on teasing note, twang on shivery twang, strum on driving strum. He ended the song with a flourish, right hand arcing upward as the last note hung on the early morning air. How did he know exactly how she felt on nights when everyone in Mountain View either had a date or was home curled next to a spouse? The isolation of being solo at the drive-in or enduring the knowing smile of a sympathetic waitress. His song wrapped all those feelings tight around her heart and squeezed. She inhaled, and the backs of her eyes stung. Hadn’t she learned her lesson about musicians from the way Dale deserted her when his band got the chance to go on the road? Three years running, and he hadn’t yet steered the tour bus through his hometown. The stranger laid a hand over the strings, rolled his shoulders, and lifted his head. Piercing brown eyes scanned the area, surveying the other musicians, and his gaze locked with hers. For a suspended moment, his gaze roved along her length, widened, and then returned to her face. Under his scrutiny, she shifted her feet and tugged at the sides of her skirt. Her period costume didn’t exactly show off her figure to its best. Not that the fact should matter, but she couldn’t look away and chose to ignore the warning bells ringing in her head. As a child, Linda was often found lying on her bed reading about characters having exciting adventures in places far away. As an adult, she discovered romance books and read them at every spare moment. Upon reaching a landmark birthday, she decided to write one of those romances she loved so much. Easier said than done. Perseverance paid out and twelve years later, she received her first call from a publisher and a confession story was published. Now, Linda writes heartwarming contemporary and historical stories with a touch of humor and a bit of sass, and many have a tie to her previous home of Texas. With interests as widespread as baking, crocheting, watching dog agility matches, and reading thrillers by Swedish authors, Linda is the mother to 4 adult children and grandmother to 2 granddaughters. She currently lives in the southern California mountains with her husband of 35 years. This the the last week to enter the GIVEAWAY! Birthday Bash means FREE Books! This isn’t your average Friday cover reveal. This is a PARTY. And there are books to win. Did someone say free books? I’m in! Welcome to Month9Books Turns 4 Birthday Bash! We’re thrilled to share this celebration with you! Here’s a quick note from Georgia McBride, owner of Month9Books! genre from Sci-Fi to Fantasy to Paranormal and Horror! As a thank you, we’re giving away some well-loved books from 2015 and 2016. All paperback and hardcover winners must reside in the United States. International readers may receive only eBooks if they win. Here’s a look at all of the books we have published through the years! A total of 13 winners will receive…. (1) Hardcover of SERPENTINE by Cindy Pon, US Only. (1) Paperback of EMERGE by Tobie Easton, US ONLY. (1) Hardcover of POPPY MAYBERRY: THE MONDAY by Jennie K. Brown, US Only. (1) Paperback set of THE DRAGONRIDERS CHRONICLES by Nicole Conway, US Only. (1) Paperback set of HAIR IN ALL THE WRONG PLACES by Andrew Buckley, POLARIS by Beth Bowland, and ARTIFACTS by Pete Catalano, US Only. (1) Paperback set of THE UNDERTAKERS SECRET OF THE CORPSE EATER & THE UNDERTAKERS LAST SIEGE OF HAVEN, US Only. (1) Paperback set of TWO AND TWENTY DARK TALES, THE REQUIEM RED by Brynn Chapman, FIRE IN THE WOODS by Jennifer M. Eaton, & RISE by Jennifer Anne Davis, US Only. (3) Paperbacks of MINOTAUR by Phillip W. Simpson, US Only. (3) International winners will receive 5 eBooks of their choice from books listed above. Free Books for a 3rd Anniversary Celebration! Free books?! Oh yes. There are free books galore available to you this week. Romances. Fantasy. Stuff I’ve written. Books by writers more gifted and skilled than me. And scroll all the way down to the bottom to get the clue for the Scavenger Hunt. And you want to win that goodie box. It includes a copy of Masked Hearts signed by all the authors. Five yummy fantasy romances in a collectable package. What’s not to want? Also, I’ll give details about how you can enter to win not ONE but TWO eBook copies (International) of any of the titles I have with Roane Publishing. Also, I’ll send a secret link to participants that earns you 25% off my titles that aren’t available from Roane. So…whoopee! Each hunt participant has a single letter in their post – in order to enter for Roane Publishing’s GRAND PRIZE, you will need to gather all of the letters along the way, then unscramble them to find the secret message. Click here and scroll through the list to read descriptions. Of course you want to win. So how are you entered? Simply complete the form below. This subscribes you to my mailing list BUT don’t panic. The only time I send you anything is when there is a SALE or a new release from me. NO JUNK. You have my solemn promise. AND anyone who signs up this week will get another bonus from me. You get to read a piece of my fiction FREE just for joining, but at the end of the week, I will email you a special offer link that will allow you to purchase (yes, I’m sorry) any of my other titles (not published through RP) at a 25% discount. Open to US citizens only. No purchase necessary, but you must be 18 or older to enter. The winner will be chosen by rafflecopter, and announced on the widget. Winner well be notified by emailed and have 48 hours to respond or a new winner will be chosen. The number of entries received determines the odds of winning. Giveaway was organized by Roane Publishing’s marketing department. I’m thrilled to announce that one of my Pen Sisters is releasing a new book tomorrow, May 3. If you’re a fan of young adult romance, you want to pick up your copy of The Paladins by Julie Reece. Go ahead and click the cover photo. You can pre-order it today. As in now. This book is a sequel to The Artisans. You can read my review of that book here. My depth of thought amazes even me sometimes. The reason I was stymied is because The Artisans is completely self-contained. It doesn’t leave any nagging questions remaining. The problem is resolved and the characters are in their “happy for now” existence. But that doesn’t mean the characters had nothing left to say. Maybe you wondered what happened with Cole. How did he adjust to life after being trapped in The Void for five years? Did things with Raven and Gideon last? Well, you can find the answers to these questions and so much more if you read The Paladins. I was involved from the first page. And I was enthralled with Cole by the third chapter. He’s a much more engaging character than Gideon. Reece takes us into the story from the perspective of all three of the main characters. Her narration is exceptional. Each chapter sounds like the chosen narrator. Cole’s voice is fun, engaging and sprinkled with British euphemisms. Raven is snarky, although a little more melodramatic than before. Gideon is dark, but wait! That’s what’s going on inside his handsome head? Elemental magic makes its appearance here, which surprised me since it didn’t have the same “feel” as the Artisan magic they “destroyed” in the first book. While they were slow to realize the source of the magic, they were quick to determine the keeper of The Void and the entrance into it. That seemed a little too convenient to me. Raven isn’t impressed to be dumped and pawned off on someone else. She thought Gideon was going to let her start making her own decisions. Why is he trying to manipulate things again? And Cole is starting to have feelings for the ghost girl he’s desperate to rescue. I didn’t guess the exact twist to that whole thing (kudos to the author), but I knew that our lovely Desiree (witch extraordinaire from the first book) would have to be involved somehow. If she got the connection to the water element, there was no way she could have been drowned as they assumed. Will Cole get a girl in the end? Can Gideon swallow his pride? Will Raven be able to escape her own dark fears? You should read The Artisans before you read this book (the eBook is only 99 cents) . It will give you the proper context for the characters and especially the villain. You won’t be sorry. It was a ghost story I thoroughly enjoyed. If you like fantasy, you’ll enjoy this book. Paranormal? You’ll get that here for sure. Maybe you’re more of a mythology buff. Reece has you covered. If you want it, The Paladins has got it. There is romance, but it’s more like the third story line in this novel. The quest to resolve magical issues is primary and character growth secondary. Even though I gave it only 4.3 out of five stars, I highly recommend this book. I’m thrilled to host this reveal on my blog. I’ve read the first book in this series and found it ensnaring, to say the least. Check out my review. Then read on to learn about the second book and how to win a free copy. I know it’s not actually FRIDAY, but this week there are TWO Friday reveals (only the first one happens on Thursday). I’ve read the first book in this series, and if you like young adult dystopian with an underdog female lead, you should check it out. Today Abi Ketner, Missy Kalicicki and Month9Books are revealing the covers for the special hardcover fan editions of BRANDED & HUNTED, book 2 in the Sinners Series releasing in April 19, 2016! Check out the smoking hot covers and enter the giveaway to win special notebooks with the covers on them! Many more lives will be lost. Many more dreams will be crushed. Many more fears will be realized. Abi Ketner and Missy Kalicicki. 1 winner will receive a special edition BRANDED notebook from the Month9Books Café Press store and a BRANDED Bracelet, USOnly. 1 winner will receive a special edition HUNTED notebook from the Month9Books Café Press store and a HUNTED Bracelet, US Only. Here it is! Another cover reveal and sample chapter for your enjoyment. Because I want your To Be Read pile of books to teeter and totter like mine does. What are friends for? Today Melanie McFarlane and Month9Books are revealing the cover and first chapter for THERE ONCE WERE STARS, which releases April 26, 2016! Check out the gorgeous cover and enter to be one of the first readers to receive a eGalley!! I have anticipated this moment for months—the moment I would be able to share my cover with all of you! When I first laid eyes on the cover for THERE ONCE WERE STARS I was immediately drawn to the stars and how they are escaping their glass prison. In my novel, the main character, Natalia Greyes, is also locked in a glass prison: her home, Dome 1618. During Nat’s childhood the stars became more visible in the sky, after being blocked by darkness for decades after the Cleansing Wars. Like the stars, Nat is a symbol of change as she transforms from a naïve youth into a strong teen, who searches for her place in her tiny world of Dome 1618, and dreams of escaping to the outside one day. But my favorite detail of all is the grass and how cool and inviting it is in contrast to the hard sheen of the glass jar. It can be seen as a symbol of how mankind can never capture or truly duplicate the beauty of nature, or the wonder of life itself. radiation that has poisoned the world outside for four generations. Nat never questioned the Order, until one day she sees a stranger on the outside of the dome. Now Nat wants answers. Is there life outside the dome and if so, what has the Order been hiding from everyone? Whether it’s uncovering the corruption of the future, or traveling to other worlds to save the universe, Melanie McFarlane jumps in with both hands on her keyboard. 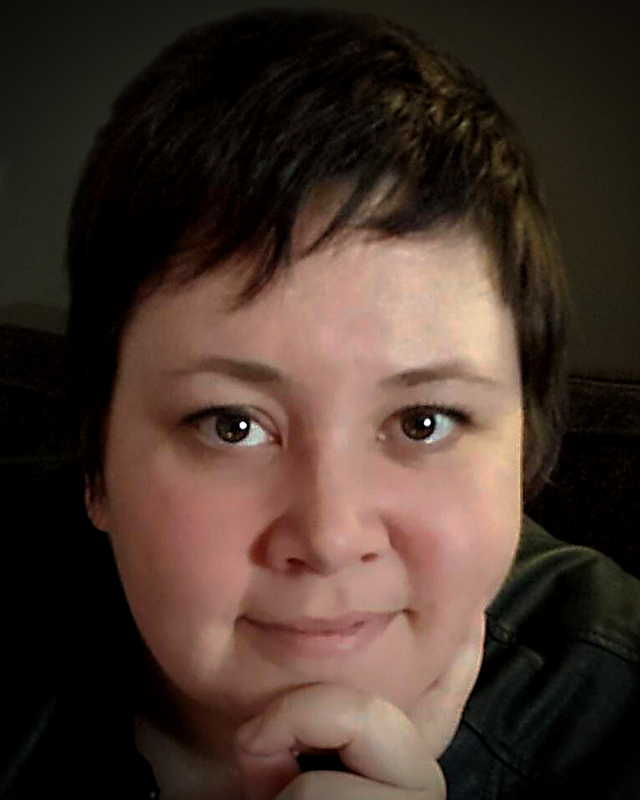 Thought she can be found obsessing over zombies and orcs from time to time, Melanie has focused her powers on her two upcoming YA novels: THERE ONCE WERE STARS and SUMMONER RISING. 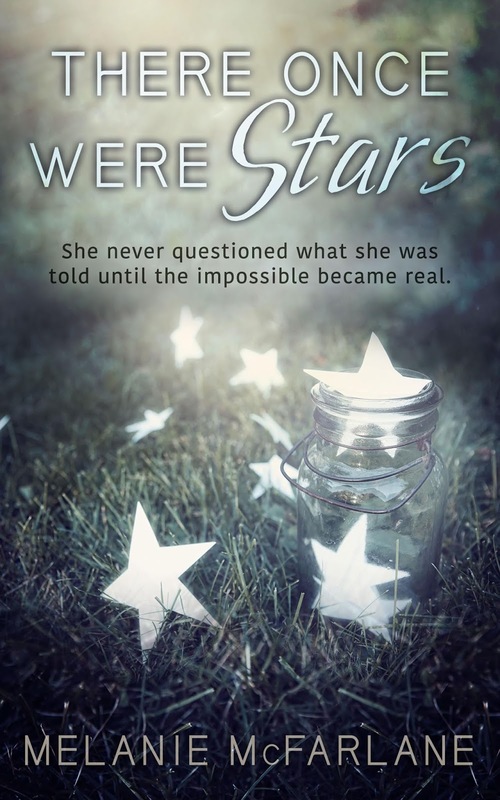 1 winner will receive the FIRST eGalley of THERE ONCE WERE STARS. International. Also Melanie is giving away swag enter that giveaway too! Win! Win a copy of my next story! Yes, this anthology contains another short romance by yours truly. I hope you’ll take a minute to enter into the giveaway. Maybe even consider signing up to support my release during the blog tour. The entry form is at the bottom of the post. Details about the stories can be found by clicking here. Description: It takes a heart of valor to survive love’s battlefield. 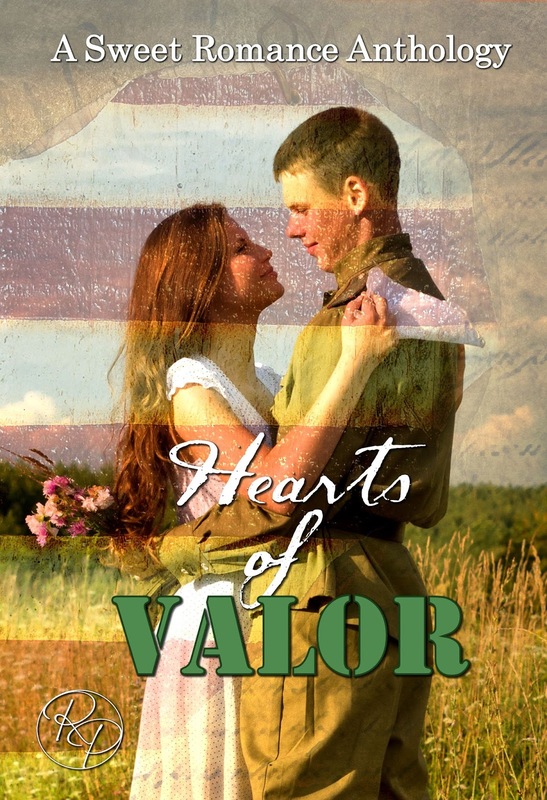 Five veteran themed romantic tales brimming with love and sacrifice are sure to show us all what it truly means to have a Heart of Valor. If you are willing to leave an honest review before January 27th, you are eligible to enter. You have until Midnight of November 28th when three winners will be chosen by random drawing.